WASHINGTON â€” Former Masvingo Resident Minister and Member of Parliament for Mwenezi East, Kudakwashe Bhasikiti, has sensationally claimed that President Robert Mugabe personally deployed members of the Zimbabwe National Army to wage a violent campaign against his arch foe opposition Movement for Democratic Change (MDC) leader Morgan Tsvangirai in the run-up to the presidential election re-run in 2008. The opposition MDC alleges that about 150 of its supporters were killed in the campaign and tens of thousands forced to flee their homes due to political violence. In an exclusive interview with VOA Studio 7, Bhasikiti says the military takes orders from Mr. Mugabe alone. But President Mugabe said then that the MDC was responsible for the violence in Zimbabwe and he ordered police to use “all necessary force” against opposition activists. The direct military intervention in the country’s elections came in the second round of voting in the presidential election of 2008 after the first round failed to produce a 50% majority for either candidate. In the first round of polls, Tsvangirai had 47,9% of the vote compared to Mr. Mugabe who had 43,2% of the electorate. Following this shocking defeat in the polls by the MDC, Bhasikiti says Mr. Mugabe turned to the coercive state apparatus – the army – arguing that the party structures were virtually non-existent and lacked capacity to mount an effective campaign. Some ruling party Members of Parliament were even accused of sabotaging President Mugabeâ€™s election campaign. Tsvangirai, noting the role of the army, claimed that Zimbabwe in 2008 had undergone a de-facto coup dâ€™Ã©tat as the military had effectively overthrown the democratic electoral processes. 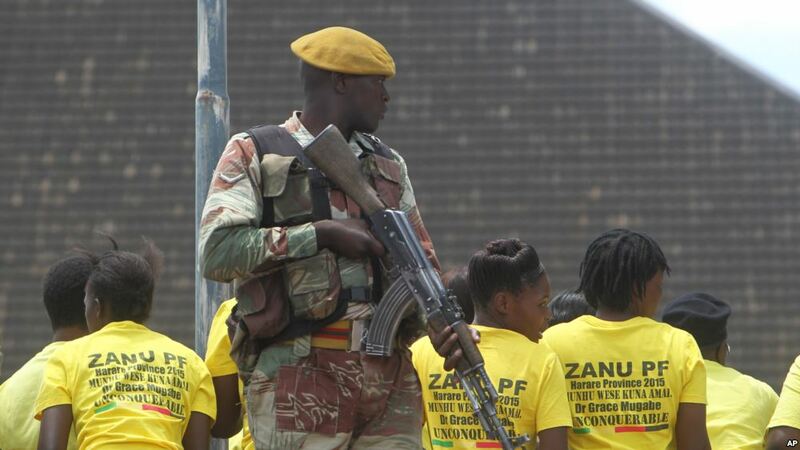 Zimbabweâ€™s laws including the Defence Forces Act and the constitution prohibit the military from participating in politics and partisan interference in electoral affairs. But in another worrying development, in March 2008 Zimbabwe Defence Forces Commander, General Constantine Chiwenga, signaled his readiness to set aside the constitution should Mr. Mugabe be defeated at the polls, describing Tsvangirai as an agent of the West and vowing to instruct the military not to take orders from him. Before Bhasikiti’s confession, several senior Zanu-PF officials were said to have been behind the bloody campaign. Those fingered included Vice President Emmerson Mnangagwa, General Chiwenga, Police Commissioner General Augustine Chihuri, Air Marshall Perence Shiri, Major General Paradzayi Zimondi, the prisons chief, and ousted spy chief, Didymus Mutasa. Former Tanzanian Foreign Minister Bernard Membe, who was monitoring the 2008 elections, was so shocked that he announced that the Southern African Development Community (SADC) would consider sending peacekeepers to halt the spiral of savage electoral violence. Although countries in the region, except Gaborone have avoided criticizing Mr. Mugabe too explicitly in the past, Mr. Membe said it was clear that the Zimbabwean government was responsible for the violence. Bhasikiti claimed that his new party, the Zimbabwe People First led by former vice president Joice Mujuru, has the full list of the officers who allegedly terrorized the people in 2008 and the party’s leadership will release the names at a later stage. But in many of the cases, the perpetrators were named in statements and reports made to the police who up to now have refused to investigate the allegations. A report compiled by Crisis In Zimbabwe Coalition titled, “The Military Factor in Zimbabwe’s Political and Electoral Affairsâ€ has the full list of the deployments.